Bug's first sport love was soccer. He's all about karate now, he tried to do both for a while but he reached a point where he had to make a choice of one or the other. Karate won but even though he doesn't play soccer year round, he still takes a week each summer to go to soccer camp to get his soccer fix. We normally go to the soccer camp put on by our city's league but this year we had the opportunity to try out British Soccer Camp at a park in another city nearby. Bug completely enjoyed his experience with British Soccer Camp. But more about that in a minute. Let me tell you what I thought. I was completely impressed with the level of professionalism by the instructors in this camp. I was completely impressed with how good they are with kids. I was...well, I was completely impressed. Coming from a soccer mom whose only experience has been with a volunteer-led organization, British Soccer Camp is top-notch. That's not to say there is anything wrong with volunteer-led youth soccer programs - but ours was always a little disheveled. Of the 5 seasons Bug played soccer. 3 of those his coaches had never had any experience with soccer at all. I felt like every season we were spinning our wheels because he had to start at the beginning because that's where the coach had to start. Camp was marginally better because there were more experienced people out there. But with British Soccer Camp, soccer is what they do. 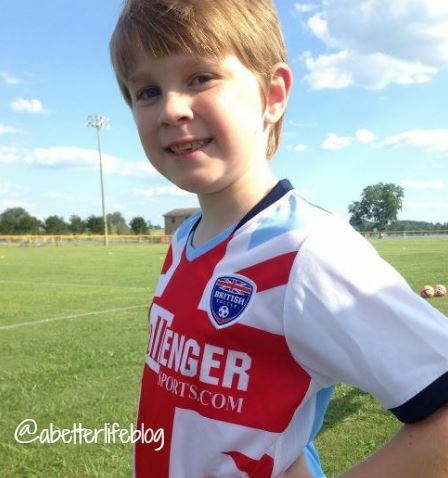 Bug learned more in one week at British Soccer Camp than he did in three seasons playing for the city league. Plus, they had a lot fun too. They played silly games that helped them with their coordination and skills. They even managed to get my generally non-participatory child (when it's not something he wants to do) to play the silly games. Usually he just wants to do the soccer stuff and not the game stuff. But he was out there doing everything. 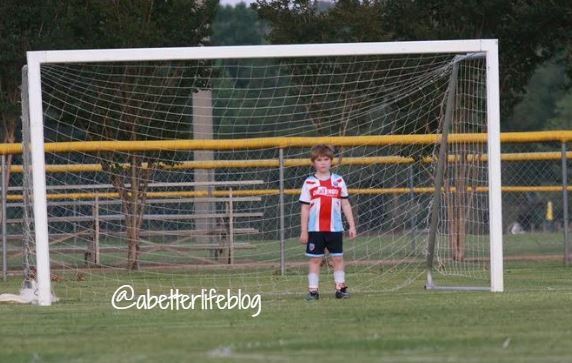 And he got to play goalie for a little bit too. That made him super happy! 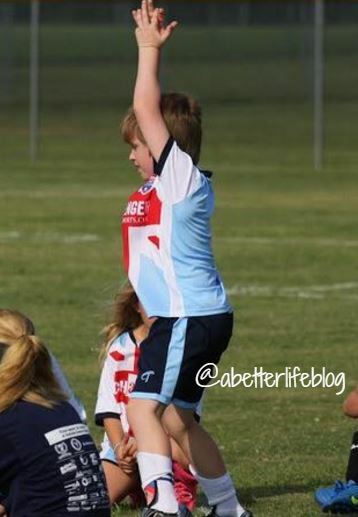 And they were all so cute out there in their little British soccer uniforms! (Totally optional when you sign up for camp - but tooooo cute!) Thanks British Soccer Camp and USFamilyGuide for providing us with a week of camp! 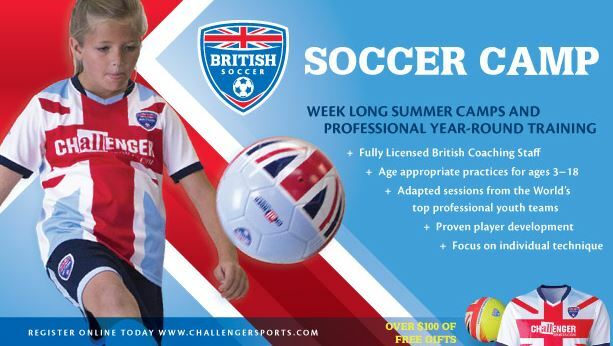 For a complete list of camps available please visit: http://www.challengersports.com/britishsoccercampsmums.aspx.